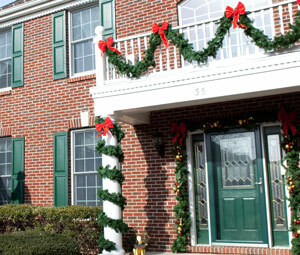 We provide the full spectrum of decorating options so there is no limit on how you can show your Christmas spirit. Our experienced, Christmas Decor designers evaluate and map your property, address your desires and create a decorating plan for your holiday and Christmas lights in New Jersey that accents the features of your home. 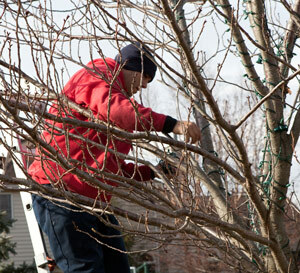 Each time we install New Jersey Christmas lights it is unique--our installations address the features that are specific to your property! We use a variety of techniques and can decorate any feature. We also use a series of property-friendly clips and fasteners that will not damage your property. Installations are scheduled at a convenient time, and our friendly installation crews handle everything. We proudly serve all of the Monmouth, Mercer & Middlesex Counties area, including Middletown, Edison, Woodbridge, Old Bridge, Trenton, Piscataway, New Brunswick, Marlboro, Colts Neck, Lawrence Township, and the neighboring cities and towns. By Cliff And Liz D.
"Tom was wonderful and was able to show exactly what our house would look..."
Tom was wonderful and was able to show exactly what our house would look like when decorated on his computer. He was friendly and professional. "I have an established relationship with the company for pest control,..."
Let our experienced, Christmas Decor designers help you with your next holiday decoration project. Just because the holiday season comes to an end, doesn't mean our service does! After the holidays, we will come back and take down the decorations, label each item, and store it in our facilities. This helps ensure that the decorations custom designed for your property will be perfectly reinstalled for you next year. Get your decorating done the right way by hiring a professional. Thank you for your interest in Christmas Decor Services by Cowleys! We will be happy to make your holiday season even more magical with our professional designs, skilled installations, and breathtaking results!